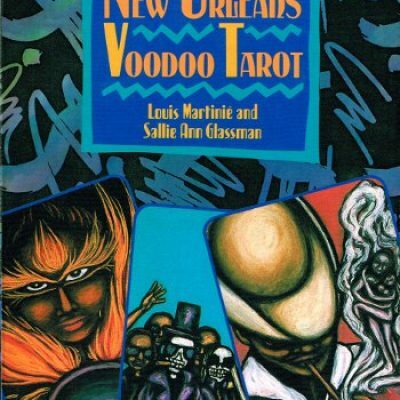 The New Orleans Voodoo tarot and bookset by Louis Martinie and Sallie Ann Glassman incorporates the African, West Indian and Catholic influences of Voodoo's ancient and earth-honoring practice. It brings strong parallels between the Loa and their archetypal qualities into the system of tarot, relating the major and minor arcana and their hierarchical structure to the pantheon of the Loa, who represent the primal energies of the universe. 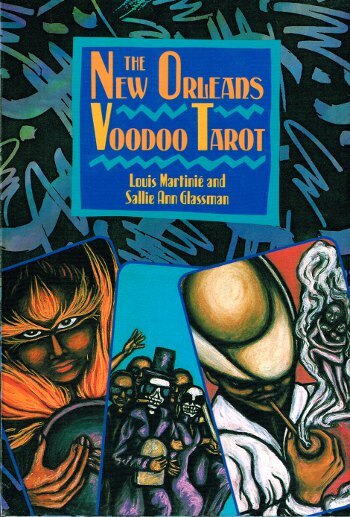 This set includes a 288 page book filled with black and white illustrations, and a full color 79 card tarot deck.